There was only one woman who had ever disrupted Oliver Laurence's plans to never love. He had stayed away from her, and fully intended to never allow her close. Unfortunately, Hope Velasquez continually showed up everywhere he went. First, he had moved into Orchard Hill, and she was already here. This was where she had grown up. He had come here for his new teaching assignment, at the school where she worked. And how was he to know that the Sunday he went to church, it would be the same one she attended. Nothing seemed to be going his way in avoiding Hope. Hope couldn't understand Oliver's behavior. They had been friends at college, close, she had thought, then he had become cold and aloof. She didn't know what she had done to cause him to become standoffish, but she preferred that to his anger. It didn't seem she could ever please him. It seemed Oliver couldn't talk to, or be around, Hope without opening his mouth and saying something wrong. He didn't want to hurt Hope, that's why he tried to stay away from her. Instead, life kept thwarting his plans, and he began to wonder if maybe being in a relationship could be different for him than it had been for every other member of his family. He began to hope that he might have Hope. Enduring Hope would have been humorous had it not been so painful. Oliver is so certain that due to his family's history, love will not work for him. 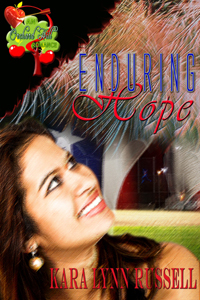 He had met Hope at college, and as soon as his emotions were threatened, he pulled away. This instinctual reaction continues in Orchard Hill, and both bewilders and hurts Hope. Oliver truly feels that he is doing what is best for her, without realizing that it is he that is best. I loved the interaction with Hope's family, and look forward to Hope's brother Joseph's story. This is the fifth story of the Orchard Hill series where Pansy Parker and Misty Green are in a year long competition to see who is the better matchmaker.